Moscow has grounds to suspect that Turkey shot down a Russian Su-24 on November 24 to secure illegal oil deliveries from Syria to Turkey, Putin said on the sidelines of the climate change summit in Paris on Monday. Speaking in Paris on Monday, President Recep Erdogan said that he will leave office if there is proof of Turkey’s cooperation with IS. “We are not that dishonest as to buy oil from terrorists. If it is proven that we have, in fact, done so, I will leave office. If there is any evidence, let them present it, we’ll consider [it],” he said, as quoted by TASS. The countries from which Turkey buys oil are “well known,” said Erdogan. He called on Russia to comment on the US’ recent black-listing of Kirsan Ilyumzhinov, the World Chess Federation President, accusing him of “materially assisting and acting for or on behalf of the Government of Syria.” Erdogan alleged Ilyumzhinov had been dealing with Islamic State oil. Terrorists have been abusing the visa-free regime between Russia and Turkey to move freely, the Russian leader said adding that Ankara failed to address the issue after Russia raised it. “We have been asking [Ankara] for a long time to pay attention” to the threat posed by some terrorists active in separate regions of Russia, including the northern Caucuses, that have been “emerging on Turkish territory,” Putin said. Moscow has asked Ankara to “stop this practice,” he added, but pointed out that “we have traced some located on the territory of the Turkish Republic and living in regions guarded by special security services and police that have used the visa-free regime to return to our territory, where we continue to fight them,” he added. 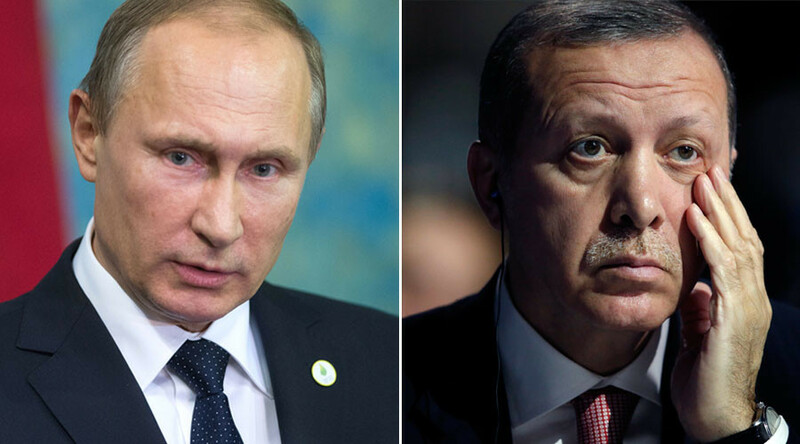 Putin said he has heard Ankara’s claims that it was not Erdogan who made the decision to down the Russian jet. However, he stressed that for Russia “it doesn’t really matter” which official made the decision. Russo-Turkish relations have deteriorated in the wake of the downing of Russia’s Su-24 by Turkish jets over Syria on November 24. Russia imposed a package of economic sanctions against Turkey last Thursday, which included banning several Turkish organizations and the import of certain goods, as well as cancelling the visa-free regime for Turkish citizens travelling to Russia starting next year. Speaking on the sidelines of the summit, Erdogan said that Ankara will act “patiently, not emotionally” before imposing any counter-measures. Putin and Erdogan were hoped to meet at the environmental summit taking place in Paris, but Putin said that no meeting was held on Monday.